Best $5 monthly fee we pay – just got better! GHS – a suite of apps from email, to phone, calendar file share, webs, and multi-media. Integrated. $5/mo. Our solutions design process builds on free services. If needed we look at paying fees, we always aim for minimal expense. So,we’ve had a policy — begin with Google Hosted services. If for some reason clients can identify a legitimate reason the enterprise tools can’t work, or be extended… we’ll start looking at self-hosted or other combinations of services. Well, in June Google announced that premium features will be added to basic accounts. These new features go into effect in a few days. As we announced on June 16, the advanced capabilities and admin controls known as Google+ premium features will become standard for our existing business, government, and education customers. This change will take place the week of July 23. After the change, these controls and capabilities will no longer be called premium features. The premium features setting will also be removed from the Admin console. Before July 23, proactively enable premium features for your domain, then re-enable HOA. After premium features become the new default, enable HOA. 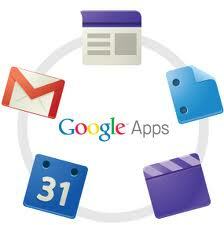 Visit the Google Apps Help Center to learn more about Google+ premium features. The fees are minimal. $5/mo per account to start. Amazing, right? Okay but here’s something you should consider – Google is advancing the end-to-end messaging security thing. Right now if you communicate within Google’s servers, your email is secure. Our understanding is that it’s transparent — but message encryption/decryption is already in place. That’s a big thing. So if your enterprise is hosted at GHS, you’re starting from secure. That’s step one. Posted in Best Practices, Disruption, Security, Tech News.Tagged Drive, Email, G+, GHS, Google Hosted Services, Monthly fees, Premium. Next Post Congratulations on your new Web Presence! Consider these thoughts.